Refer a friend for Winter Storage and Receive $30 off your Storage Bill. Unlimited Referrals! Haul Outs - $6/ft (Includes getting your boat from slip, haul out, power-washing bottom, transport to storage yard, and blocking up). Our trailer can hold up to a 26' boat. 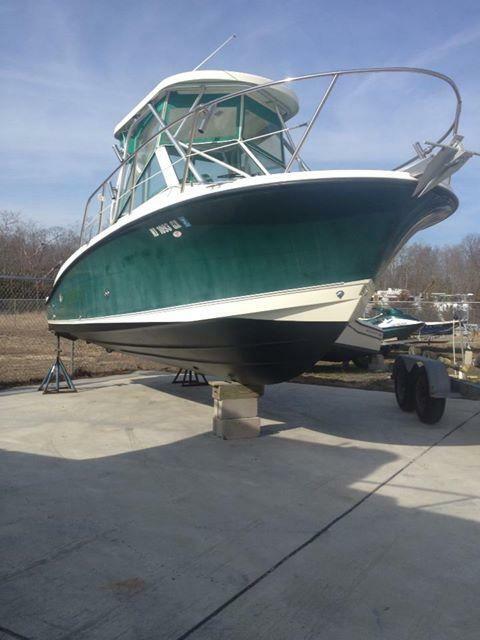 We will bring your boat from the slip to the ramp for no additional charge. Shrink Wrap - $12/ft (Includes mildew bags). 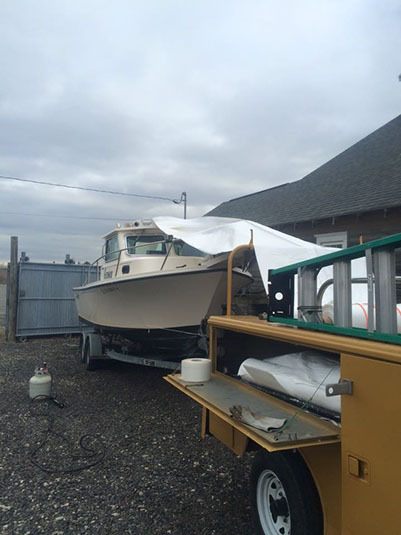 For an Addition fee we can come right to your driveway or yard and shrink wrap your boat. Only $14/ft for Cape May County. We do travel all over South Jersey. A small fuel charge may be added for other places. This year, to help with Mobile Shrink Wrapping, and to get boats done faster we have added another service truck. Please allow at least 2 weeks for Mobile Shrink Wrapping. Please note, we cannot and will not wrap boats when it is windy or raining.